Alice, puzzle "the weather" - My first puzzle - Lilliputiens 83084. Home > Catalog > Learning and Discovery > Toddler Toys > Baby puzzles > Alice, puzzle "the weather"
Your kid’s very first puzzle experience ! 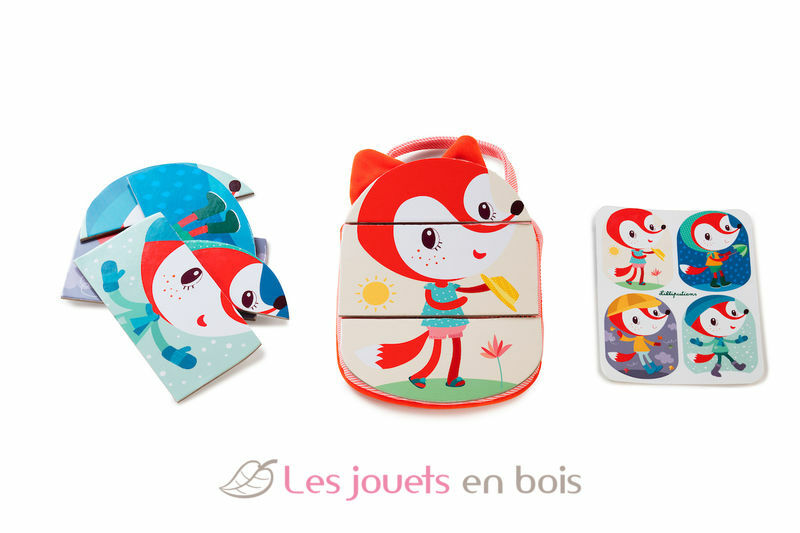 Your toddler will love to carry around his little purse and play with 4 different puzzles. Each puzzle represents a weather condition with our dear Alice the fox. Watch your child having fun trying to assemble the pieces and teach him about the different weather conditions. Alice, puzzle "the weather" - My first puzzle made by Lilliputiens. Item number 83084.